What do we do when our high hopes of faith clash with the harsh realities of life? I remember being trained for evangelism years ago to share the gospel with people, to open up the Word of God to them, and to share my testimony with them. With step by step explanations and diagrams, I would lead individuals with questions, be engaged with them about the questions of life, and often concluding with a personal testimony of what life in Christ looks like. A typical flow would be something like sharing the powerful effects of faith on born again believers. I can also rattle off a list of blessings that people receive from time to time. It can be a huge salary jump or a triple promotion. It can be one’s book entering the list on the New York Times bestseller books. It can also be a surprise present from nowhere, or an answer to a poor missionary’s prayer. For the sick, people’s hopes rest on miracles. For the down and out, hopes rest on a quick turnaround or in extreme cases, a quick end to life. I am not saying that these are bad. No. I thank God for every benefit that comes from God. What I am concerned about are people who place the hope of such blessings as the primary purpose of faith, instead of the glory of God. 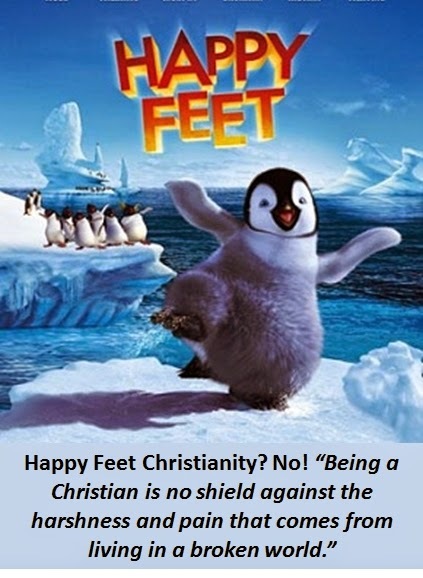 For people who converted to Christianity on the basis of blessings, good health, and prosperity, the moment the perceived blessings stop, there is a high chance that they will leave the faith. When J Todd Billings heard the news, he was devastated. Diagnosed with incurable blood cancer, a cancer of the bone marrow, multiple myeloma, his tears flowed freely. Words of comfort too. Yet, of all the cards, emails, letters, and words of encouragement that came, one little note from a 15-year old girl topped it all. The mystery of faith is that we never really know what God’s will is until God reveals it to us. In prayer, we put ourselves in a position to hear what God is saying. In prayer, we submit ourselves totally to God’s timing, and not be enslaved to man's. We are totally dependent on God. 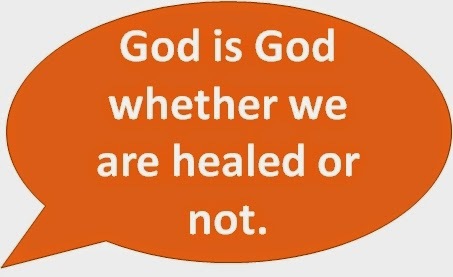 God is God whether we are healed or not. We can only trust God who is the ultimate Judge, the absolute Decision-Maker whether He chooses to heal or NOT to heal. That is what the essence of trusting God is. For when we sing hymns like “I Surrender All,” we are proclaiming to God that nothing on earth will be able to separate us from the love of God in Christ Jesus for us. 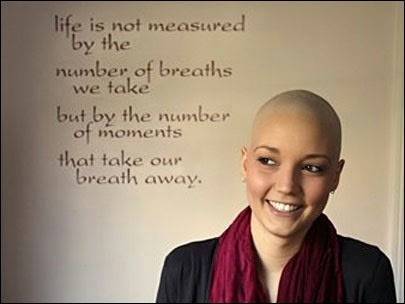 We can ask questions about why cancer or why bad things happen to supposedly “good” people. We can even ponder about why things are not going our way at any one time. Being under the lordship of Christ simply means this: We can ask the questions but only God is sovereign to give answers or NOT to give any answer at all. That’s why we must learn to cultivate lament as another dimension of our faith. That’s how we grow when the harsh realities of life challenge the high hopes of faith.